Welcome to our Mercedes Benz SLK (R171) Store. You are now visiting RoadsterTime your Mercedes Benz accessories store. 2005-2010 MB SLK CHROME Polyprophite Housing DRL Projector Headlights with Polycarbonate lenses (Compatible with the Halogen Model ONLY). 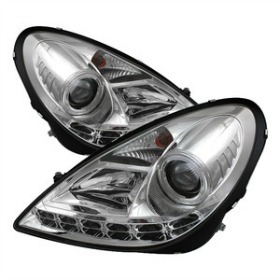 These projector headlights are designed to improve looks and visibility for your vehicle. They are made by OEM approved and ISO certified manufacturers with standard OEM quality and are designed for stock lights direct replacement. We offer these headlights in either CHROME or BLACK housing for the customer to fulfill their own personal style. Sold in sets of two. Includes the housing and all bulbs. These projector headlights incorporate elegant L.E.D.s that illuminate the road better and allow the driver to have a safer and more enjoyable driving experience at night. These are not compatible with the Xenon/HID model. Price $674.95 + S/H - PLEASE CALL FOR CURRENT PRICING! 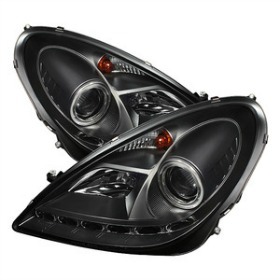 2005-2010 MB SLK BLACK Polyprophite Housing DRL Projector Headlights with Polycarbonate lenses (Compatible with the Halogen Model ONLY). 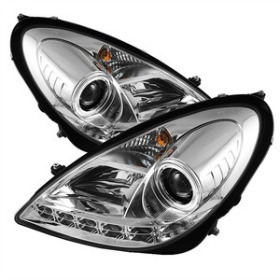 2005-2010 MB SLK CHROME Polyprophite Housing DRL Projector Headlights with Polycarbonate lenses (Compatible with the Xenon/HID Model ONLY). Sold in sets of two. Includes the housing and all bulbs. These projector headlights incorporate elegant L.E.D.s that illuminate the road better and allow the driver to have a safer and more enjoyable driving experience at night. These are not compatible with the Halogen model. Price $474.95 + S/H - PLEASE CALL FOR CURRENT PRICING! 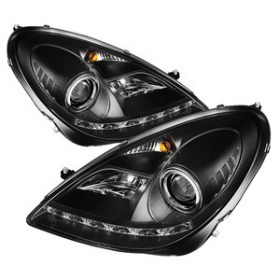 2005-2010 MB SLK BLACK Polyprophite Housing DRL Projector Headlights with Polycarbonate lenses (Compatible with the Xenon/HID Model ONLY). Here is an extremely easy to install clear acrylic windblocker that requires no cutting or drilling to install. The brackets attach with a 3M automotive adhesive, just peel and stick. Can be removed and reinstalled on another Mercedes Benz SLK R171 and the adhesive will not leave any footprints behind. It installs in just 5 minutes and there are no tools required. 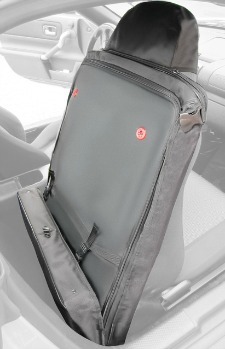 There are no panels needed inside the roll hoops as the seat back acts as the windblocker. This WindBlocker consists of one center panel (.235" or 6mm thick) and two brackets that attach to the roll hoops using a two-sided removable automotive adhesive (if removed you may have to replace the adhesive). 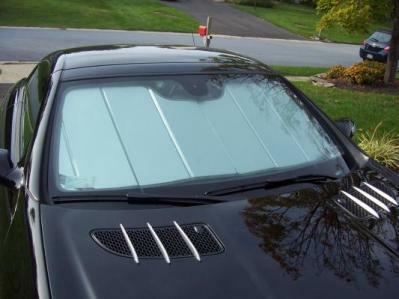 This WindBlocker reduces those chilling drafts, quiets your cockpit significantly, and yet doesn't affect the view through the rear view mirror as the mesh design does. The center section slides out of the brackets for those times when you want to feel the wind on the back of your neck. We offer three styles of Windscreens: CLEAR, ETCHED or ETCHED & ILLUMINATED. Don't forget ACCESSORIES for your new WindRestrictor! Base Price w/o Etching or Illumination $219 + S/H, We price match on this item, we will not be undersold. New and Improved Design!!! Clear WindBlocker of our own design. Easy to install requires no tools or drilling. Designed and tested by experts in aerodynamics. Sleek design. This WindBlocker may appear to be too short but it is the the optimum height for elimination of back draft. 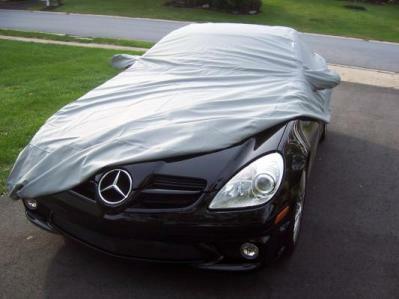 Simply the best windstop available for the SLK. Fits SLK (R171) 2004-2011. Click on picture or title for step by step installation instructions. See how easy it is to install. 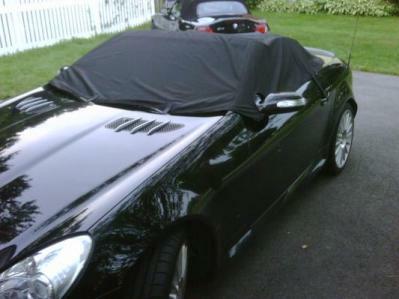 This is the OFFICIAL Mercedes Benz SLK (R171) CLEAR WindBlocker. Best option for minimizing back drafts. Best performance of all windblockers. Comes complete with screens for roll hoops. Storage bag is included. 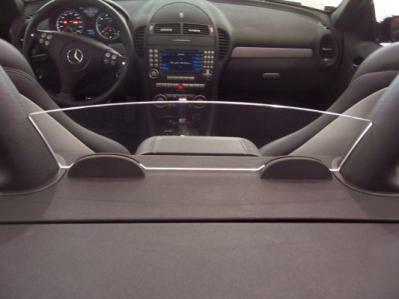 This is the OFFICIAL Mercedes Benz SLK (R171) MESH WindScreen. This WindScreen was standard equipment on all R171 SLKs. The mesh design minimizes back draft. Black in color. Premier Custom Mercedes Benz SLK (2012-2014) Floor Mats. Custom fit heavy duty cut nylon pile carpet. Set of 2 front mats (no grommets included). This will fit all models for years 2012 - 2014 only. 100% durable with a thick, plush feeling. These floor mats have better coverage than most original mats and are WASHABLE! Sturdy vinyl nibbed backing keeps them in place. Premier Custom M-B SLK Floor Mats are available in the following colors: Beige, Black, Caramel, Driftwood, Evergreen, Gray, Gray Mist, Navy, Smoke, Taupe and Wine. Previews of the available colors can be found by clicking on the underlined Mercedes Benz SLK (2012-2014) Premier Custom Floor Mats link next to the picture above. These are the OFFICIAL Mercedes Benz SLK floor mats. 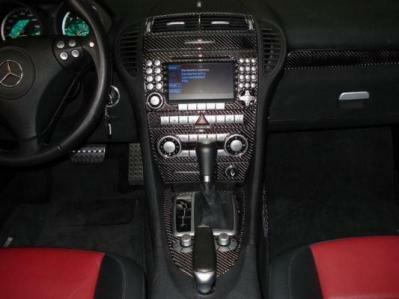 Mercedes Benz Carpeted floor mats fit the Mercedes Benz SLK 1998-2011. Embroidered logo. Select MODEL YEAT, MODEL and COLOR at check out. SLK200 or "AMG" adds $40.00 to the cost of mats, make this selection at checkout. Now available for both the SLK (R170) and the SLK (R171), select model at check-out. 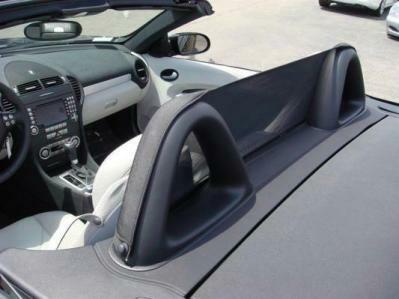 This "Top Down" Interior Cover is designed specifically for your SLK. Made from NOAH fabric not inexpensive polly cotton, a little more expensive but worth the performace gains as this cover keeps your interior cool and offers protection against water, UV light, dust, and bird droppings. Gray in color. 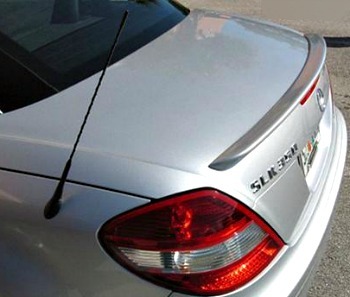 The Tuner Style Rear Lip Spoiler adds a unique sporty look to the 2005-2011 Mercedes Benz SLK R171. Made of handcrafted fiberglass, this light weight and strong spoiler comes ready to install with 3M adhesive tape and is available Unpainted or Painted to match your car (add $100). 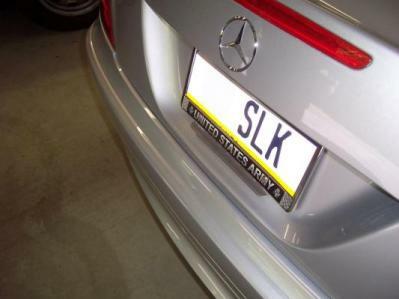 Enter the paint color and model year of your SLK on the checkout screen. If you are having trouble locating your paint code or have any questions, give us a call, we may be able to help. Installation instructions are included. 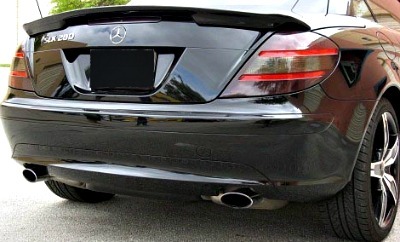 The AMG Style Rear Lip Spoiler adds a unique sporty look to the 2005-2011 Mercedes Benz SLK R171. Made of handcrafted fiberglass, this light weight and strong spoiler comes ready to install with 3M adhesive tape and is available Unpainted or Painted to match your car (add $100). Enter the paint color and model year of your SLK on the checkout screen. CLICK on the picture or title for another image. 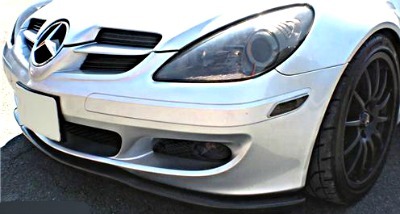 The EURO Style Front Lip Spoiler adds a unique sporty look to the 2005-2007 Mercedes Benz SLK350 (will NOT fit AMG models). Made of Grade A Real Carbon Fiber, this light weight and strong spoiler comes ready to install with an epoxy resin clear coat for protection against UV damage and scratching. Enter the model year of your SLK on the checkout screen. If you have any questions, give us a call, we may be able to help. Installation instructions are included. Easily installs with no drilling. Satin stainless steel finish shown. Elimiates finger prints and makes trunk closure easier. At checkout SELECT finish; satin, polished, and with or without MB etching. Fits all SLK (R171 - 2006-Later). 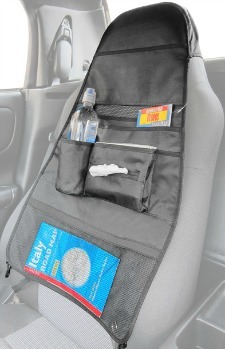 Here is a great addition to any car trunk. Unique cargo storage box folds flat when on in use. 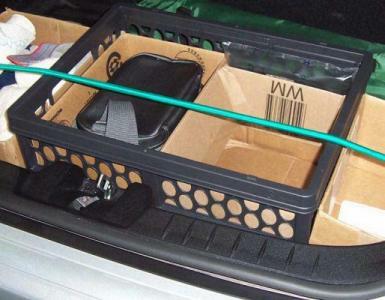 Holds items in trunk secure. Measures 2" X 13" X 18" folded. Bungee cord shown not included. This original MB product is NO LONGER AVAILABLE. 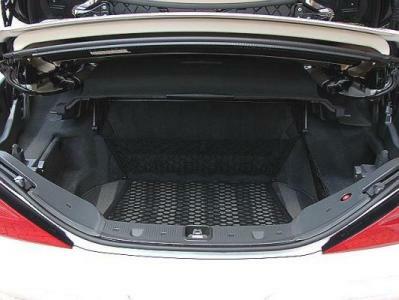 Protect the floor of your trunk with this durable, easy to clean plastic insert with 2 inch sides. Form fit to the SLK (R171) trunk. Unit ships in plastic bag due to size. Manual and duster shown for display purposes - not included. Fits SLK (R171) 2004-2011. Similar to the one shown here in the SL. Cargo nets are a must for those twisty back roads to keep your cargo secure. Fits SLK (R171) 2004-2011. Use this Original Mercedes Benz Battery Trickle Charger for those extended periods when your MB will not be used. This device ensures you'll be fully charged and ready to go. Battery terminal clips and accessory plug included. 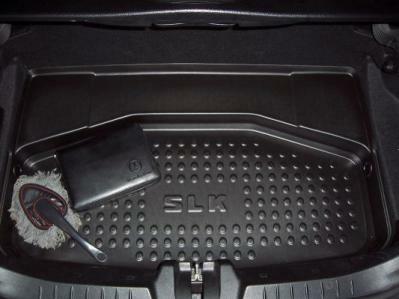 Kit is Manufactured when purchase with your SLK Options. Kit will take 7-10 Business Days to manufacture. Our Product is the Thinnest in the Market, .080 including 3M Backing. No Adhesion Promoter Needed or Recommended. All pieces have a Polyurethane Clear Protective Coating applied over Matreial , to protect against UV Damage, Scratching, and Spills. All pieces are Lazer Cut, for Precision Fit on your Car, Our 3M Backing is Spaced in from Edge, so Edges will Not Collect Dust and Dirt. Trim Kit is applied Over Original Trim, No need to remove any Parts for Installation, we include a bottle of 3M prep 70 Solvent and Lint Free Rags , Just Wipe Surface Clean, and apply Trim. Do it Yourself in about one Hour. Select correct model trim on checkout. RHD - Right-Hand Drive is available for an additional $25.00. 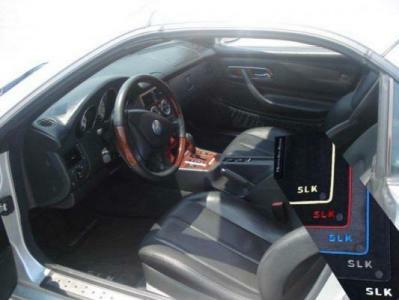 CLICK on the picture or title to view the Schematics for the SLK roadster. Make the most out of the small trunk space in your Mercedes Benz SLK (R171) Roadster with this innovative 2-piece fitted luggage set, shaped to match the trunk dimensions. 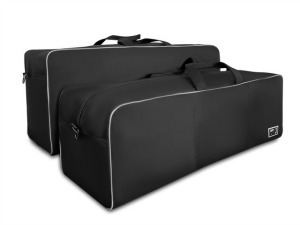 This luggage set will fit your 2005-2011 SLK R171 and features adjustable shoulder straps, padded carry handles, rugged, oversized zippers, extra utility pockets and is constructed with heavy duty hardware to withstand harsh trunk conditions and ensure years of reliable service.